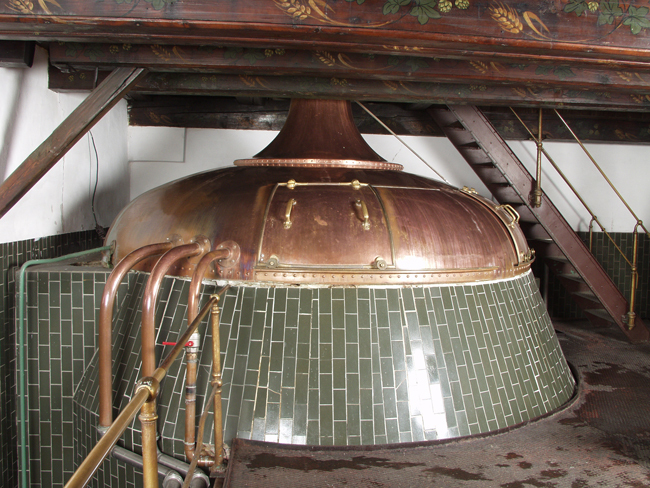 The pearl of the brewery is its ancient brewhouse used for beer making for over 500 years. You can see copper vats from 1937, in which beer is still brewed Today, or a unique coolship. The contemporary look of the brewery is an outcome of a successful reconstruction in 1986. Come visit this outstandingly historic, but also modern facility. The tour of the brewery U Fleků takes approximately 45 minutes and is comprised of a beer tasting, a short video, an explanation of brewing processes and history of the brewery, and of course a visit in a cellar and a brewhouse. Each guest also gets a brewery souvenir. All tours only with reservation created in advance. Groups min. 10 persons, max. 45 persons. Price 210 CZK/Person – includes the tour, tasting of beer, and a souvenir.